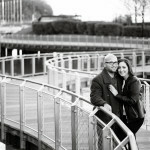 Anne and Mike had been together as a couple for nearly a decade but getting married and planning a traditional wedding was not something they felt suited them and their personalities. After attending their friends’ Terrence and Greg’s intimate DIY wedding (which I also photographed), they realized a wedding need not be traditional nor extravagant yet still be a whole lot of fun for themselves, their families and their guests. 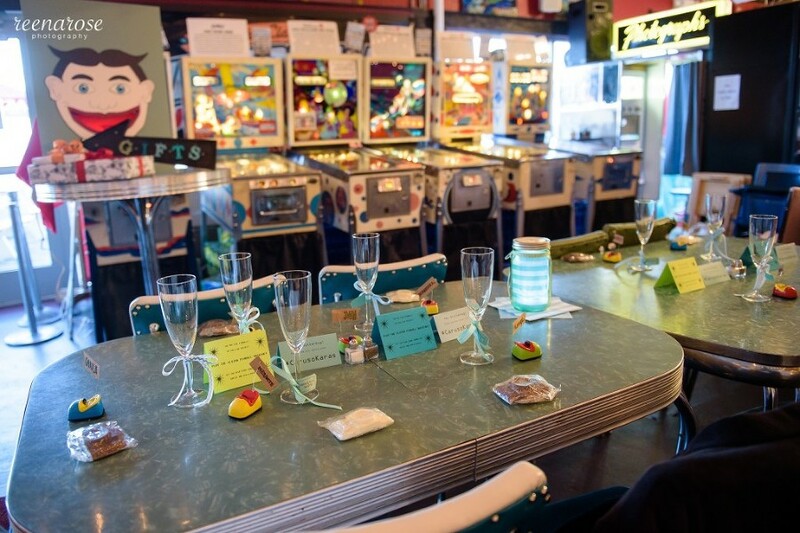 They came across the Silverball Museum Arcade in Asbury Park, New Jersey, and they knew they had found their dream wedding venue. When they asked me if I would photograph their wedding, I was a bit hesitant at first. You see, both of them are amazingly talented photographers. Anne is an editorial photographer for (201) Magazine and Mike is an award-winning photojournalist for The Record newspaper in Bergen County. And just check out their breathtaking photography on their travel blog, We Are Tourists. Talk about pressure! But of course, I said “I do” because I take it as a great honor to be trusted by other photographers especially ones whose work I admire. 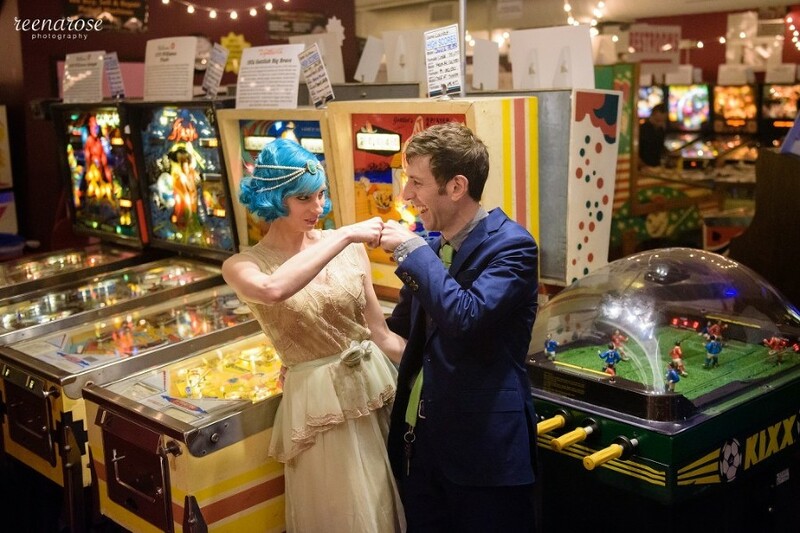 Plus, I knew it was going to be a blast photographing at a pinball arcade and I was right. Congratulations, Anne and Mike! Thank you for making me a part of your celebration. 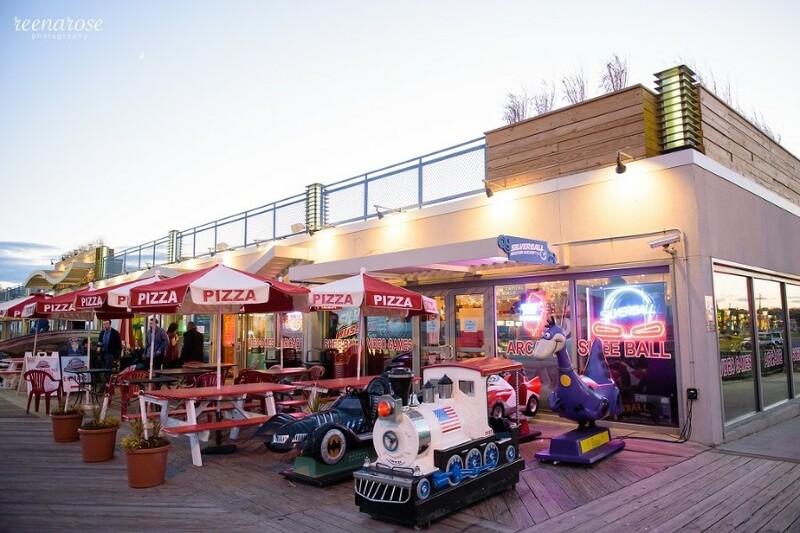 Fun Fact: Anne and Mike had to move their wedding a week later because the Asbury Park Zombie Walk was going to take place on their original wedding date!